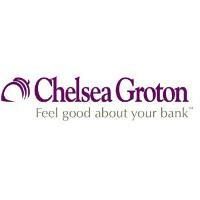 Groton, CT – In order to assist individuals and families in switching to a better banking experience, Chelsea Groton Bank is pleased to introduce a new Switch Hotline, which will provide prospective customers the convenience of switching to Chelsea Groton Bank over the phone, during and after hours, by calling 860-448-4195 (Monday – Friday: 8am – 7pm, Saturday: 9am – 1pm). Those who call the dedicated Switch Hotline will have the opportunity to share more about themselves and what they are looking for in a value-add banking relationship, one where they can actually work one-on-one with local and experienced banking associates dedicated to helping customers achieve their respective goals as if they were their own. A Switch Hotline team member will complete most of the account set-up over the phone. Customers will then be invited to visit their most convenient Chelsea Groton branch within five business days in order to meet local branch associates in person, sign the already completed paperwork, and fund the account(s). From there, every new customer will be assigned a dedicated bank associate to help them in-person through the steps of updating direct deposits and transfers, setting up online banking and bill pays, as well as learning about the other tools available to them for easier financial management. The addition of the Switch Hotline is part of Chelsea Groton’s ongoing efforts to provide members of the community with a simpler way to feel better about their banking experience. To reach the Switch Hotline, call 860-448-4195. For more information, visit chelseagroton.com/easytoswitch.